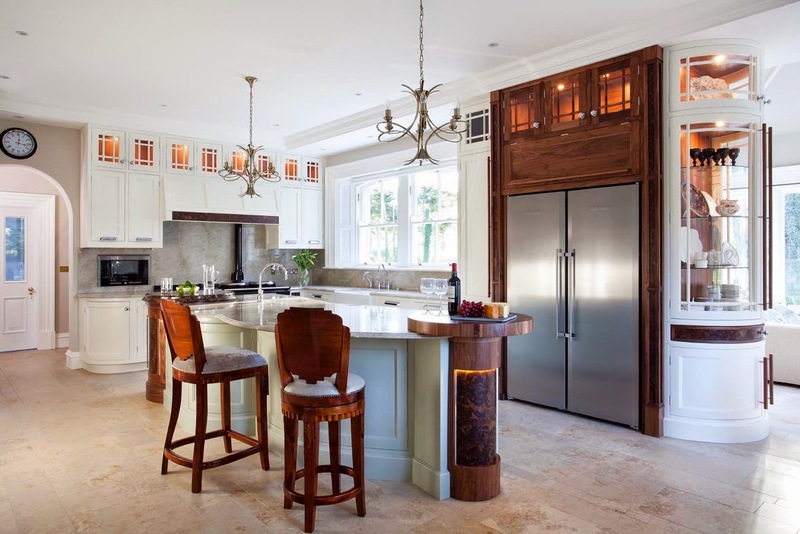 Kitchen Design Think Tank: Don't be negative - it's a kitchen but not as we know it! Don't be negative - it's a kitchen but not as we know it! Forget that this is a cutting edge design by Ernestomeda and what do you see? 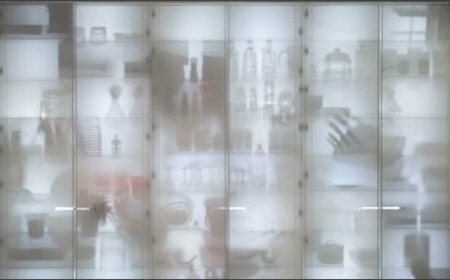 Do you expect to see someone wearing a white coat entering the space and placing an X-ray film on the wall? Or do you see a design that is experimenting with light and design expectations? It must be the later! 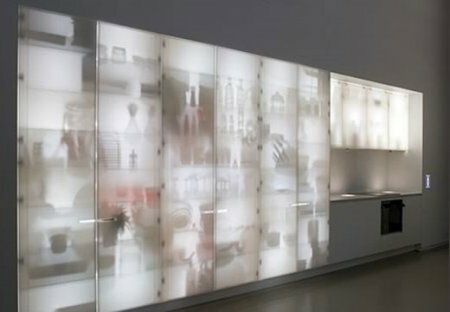 Using translucent Corian and back lighting this concept explores how the very items we normally try to conceal behind kitchen doors can become the medium for artistic expression. The placement of items within the cabinetry will change the effect and in an extreme way this could be conceived as a personal expression of diet and personal habits! This design can actually be seen as a functional canvas onto which the user paints a picture of their home life. It feels very personal, like looking into someones underwear drawer, but maybe that's the point! 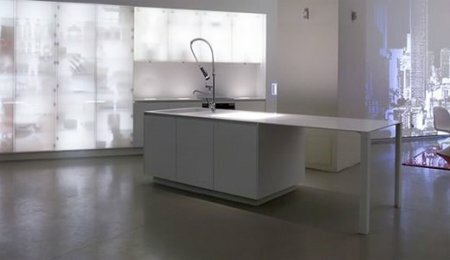 More and more designers are experimenting with light and translucent materials in kitchen design as it adds a versatile and controllable dimension to a product that is now warmly accepted as an integral part of our living space. And if your cupboards are bare get to the shops quick as your guests will notice....either that or turn off the lights. Cool! 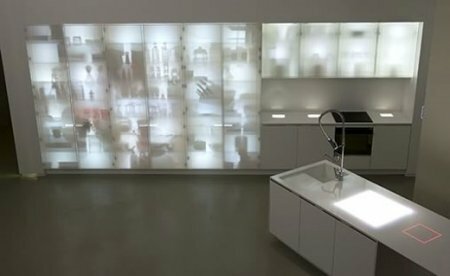 The use of translucent Corian(r) to make everyday kitchenware a work of art is an amazing idea! 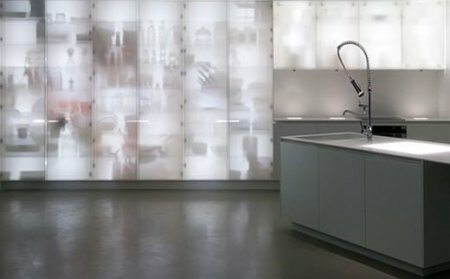 I really like the way this is presented, it gives the kitchen a futuristic look while also having its practical advantages (you see where everything is). Christine from DuPont.